Description: Get paid for each transaction your referral makes. 10% Commission. 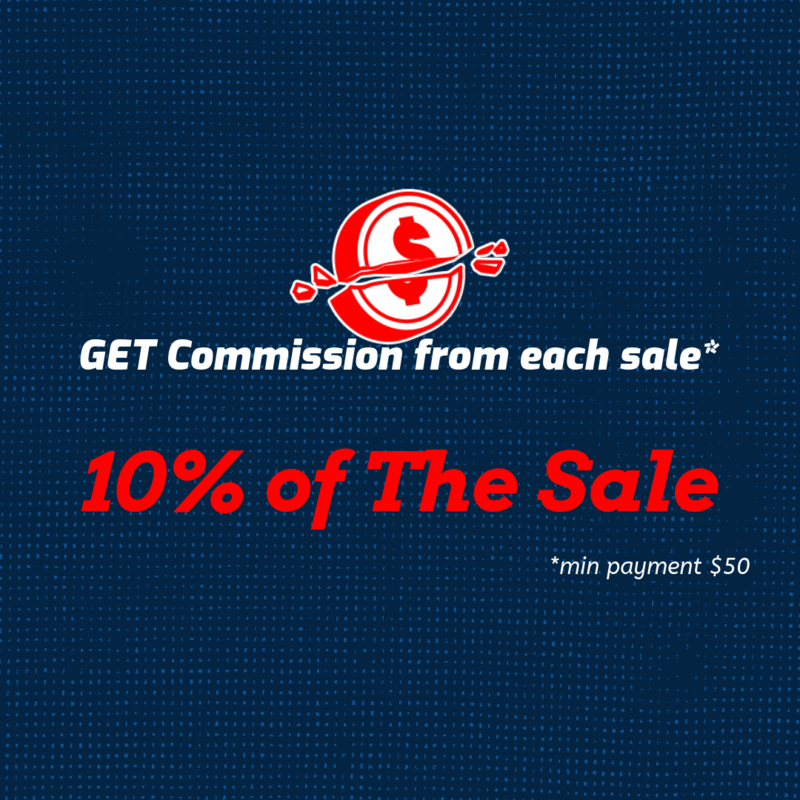 For example, the customer used your coupon code or made $100 purchase through your link on the store, you will earn $10. Once your affiliate balance reaches $50, we will transfer you the money. Easy. Transparent. Win-Win-Win.